We specialize in Asphalt Paving, Sealcoating, Resurfacing Pavement, Crack Filling, and Concrete – our goal is to provide you with the highest quality services. Our experienced paving contractor offers reliability and quality that you can trust. Your top choice for driveway repair and parking lot repairs. Finding asphalt paving contractors can be hard. Good thing for your we’re the obvious option. 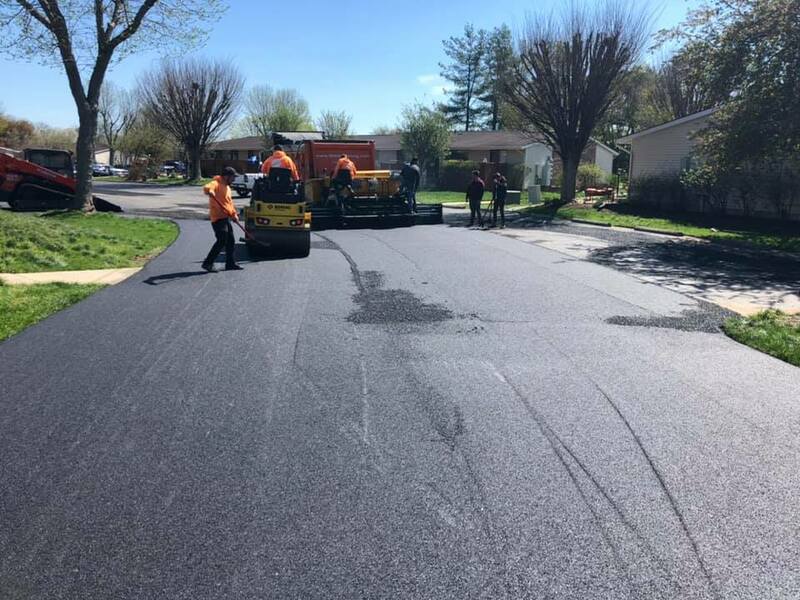 We provide paving in Mechanicsburg PA, paving in Harrisburg PA, paving in Carlisle PA, paving in York PA and all other surrounding areas. No matter if you need driveway repair or even parking lot resurfacing. We are here to serve you and would be happy to provide a free estimate. 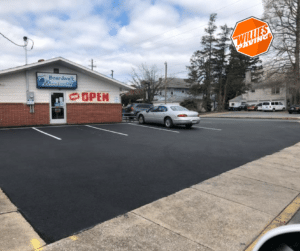 Willie’s paving is Licensed, Insured, and we Guarantee All Of Our Work! Residential Paving Services include: Driveways, Side Extensions, Drainage, Resurfacing, Replacements, Patch Work, Sealcoating, Basketball Courts, Tennis Courts, Concrete Patios, Concrete Sidewalks, and other Custom Paving Work. Our driveway pavers are experienced with all styles of driveway paving. 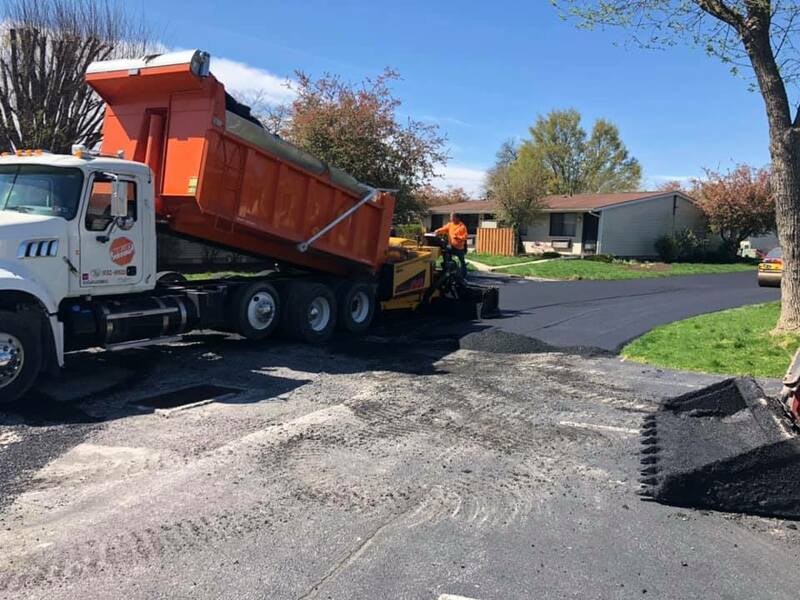 For years we have been paving asphalt and cement driveways. Not all local paving contractors work at a high standard. Willie’s Paving makes customer satisfaction our #1 objective. We offer seal coating in York PA, Harrisburg PA, Hanover PA, and Carlisle PA. Some of our Commercial Paving Contractor Services include: parking lot speed bumps, parking lot stop bars, asphalt resurfacing, street print, parking lot and Warehouse floor striping, drainage, seal coating, stone & replacement service, miling custom work, new construction, and roads of all types contact us today for help on your next project. For Commercial Paving we are your best option in the York, Harrisburg, and Lancaster area. Get a Free Quote today! Protecting your asphalt pavement with periodic maintenance is important to extend the life of your asphalt pavement parking or driveway. 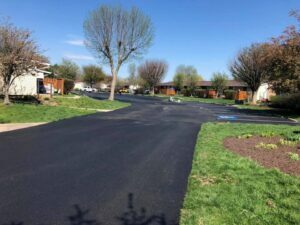 We provide Residential Asphalt Sealcoating, Commercial Asphalt Sealcoating. Also known as Driveway Sealing or a blacktop sealing. We also offer Asphalt Crack Sealing for your commercial and residential applications. Sealcoating driveways are our specialty, we can prove it. 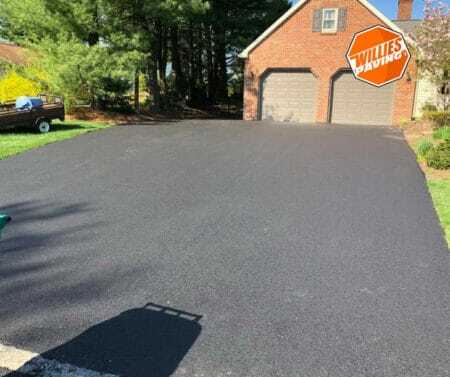 We offer seal coating in Mechanicsburg PA, Harrisburg PA, Carlisle PA, and York PA.
Willie’s Company has been handling driveway repairs for tons of clients. Over here we have an enormous amount of experience when it comes to repairing a driveway. paving a driveway, or even seal coating driveways. We have a number of images that just speak for themselves relating to the results you should expect. In our blog, there is even an article that breaks down ways someone does the work themselves. Our how to handle driveway repairs blog not only covers paving driveways, It also goes into the seal coating a driveway. We handle it all from concrete repairs, cracked repair, asphalt driveway leveling and more. If you have any further questions about driveway issues then give us a call today! When it comes to our line striping, Willie’s Paving is the best in Pennsylvania. Our goal has always been to satisfy our client’s needs. As we sit down we will discuss different possibilities of handling your line striping issues. This will be based on measurements symbols, and etc. Let’s not waste any more time and just get on the phoner today. We look forward to chatting with you. If you have any further questions about line striping the give us a call today! 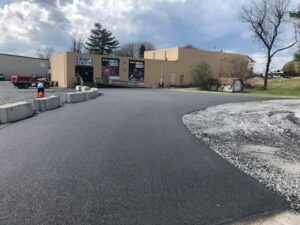 We do commercial seal coating in Harrisburg Carlisle Mechanicsburg and York PA.
Don’t trust just anyone to handle the seal coating at your business, trust the best PennDOT certified paving contractor in central PA. We understand how important it is to work around your schedule and that downtime for you means lost revenue for you. Check out some of our past commercial seal coating jobs on our commercial picture page. To get a FREE quote please be sure to reach out to us! A well-paved parking lot saves the local waterways and fresh water supply from contamination. Defective vehicles with leaks often drip pollutants such as engine oil and brake and transmission fluids, even more, when the vehicles are not moving. Without paved parking, these contaminants will reach the ground and wash away with rainwaters to the nearest waterway. Well-paved parking space also includes water passages that are directed towards the city sewer systems, so that the contamination can’t reach the fresh water supply. If you have any further questions about parking lot repairs then give us a call today! “Exceptional quality at an exceptional price. These guys are effective and efficient and I highly recommend them. 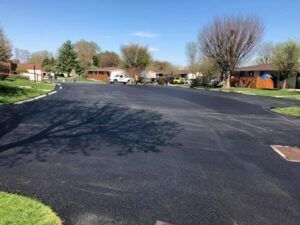 I’ve used them personally and professionally and they always exceed the expectation.” Edward K.
“ Willie replaced my existing asphalt driveway with a new one. Willie’s was priced better than the competition, the service was good, and quality of work was outstanding.” Shane F.
Willie had good prices, the service was fast, and he did a great job.” Herb Z. With over 30 years of experience with installing driveways and parking lots. We can assure high-quality service. Willie’s Paving has local paving contractors that can do it all. From driveway paving, parking lot paving, line striping, and more. Get a FREE estimate today! Just fill out the form above or give us a call for a quick response.